Superdry men’s Vintage Destroyed polo shirt. 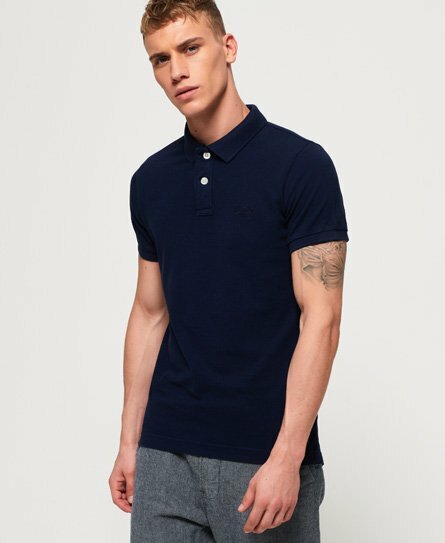 A classic cut polo shirt featuring an embroidered Superdry logo on the chest, split side seams and two button fastening. The polo shirt is finished with a Superdry logo patch on one sleeve and a logo tab on the hem. Style with skinny jeans for a casual but stylish look.